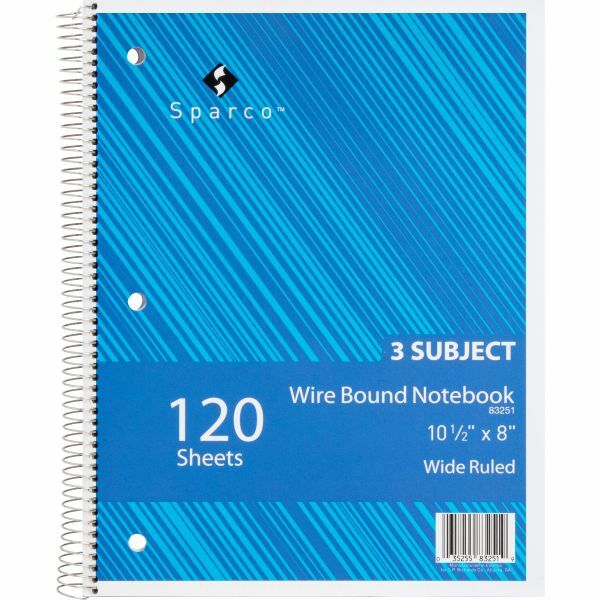 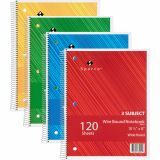 Sparco 3-Subject Wide Ruled Spiral Notebook - Back To School! 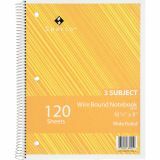 Quality wirebound notebook features a stiff cover and back. 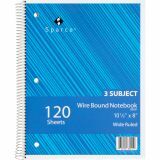 Contains bright white nonbleed, ruled paper.